Welcome to my coop page, my name is Elana. 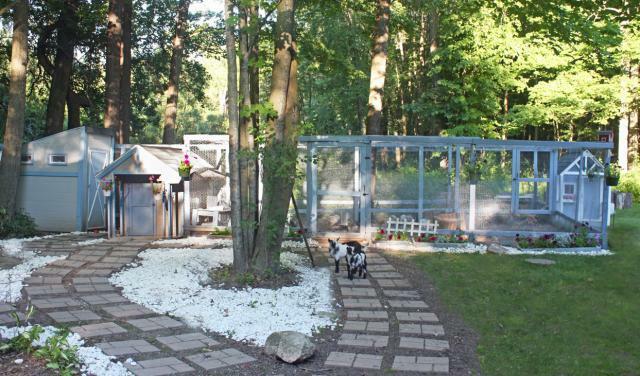 After a year of convincing, plotting and throwing staplers at him, I was finally able to persuade my husband to go along with a backyard menagerie of flockers. I came up with a cottage-style concept with several houses & attached runs that would compliment our house and yard and began drawing many, many, many sketches. The goal was to keep it below $800 for everything (and that was difficult when including our booze budget in that too!). To achieve the $800 goal, we used primarily recycled items found on freecycle and craigslist but also some items purchased from the locally owned hardware store. I spent many hours scrolling craigslist and freecycle posts and thankfully there were many things we were able to re-use from other people's discarded project items! 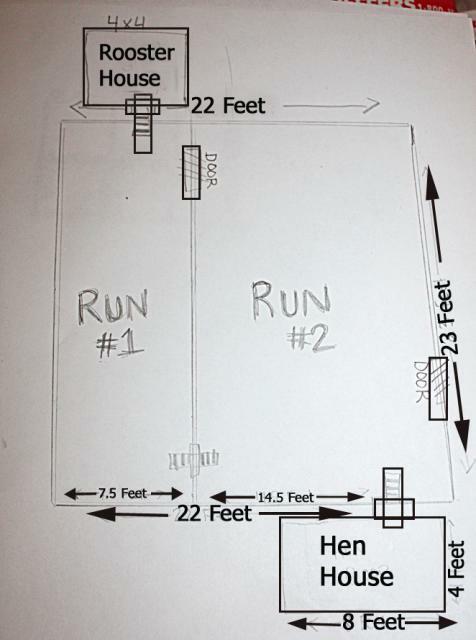 We are currently adding an additional 12 x 24 barn for the silkies for winter. 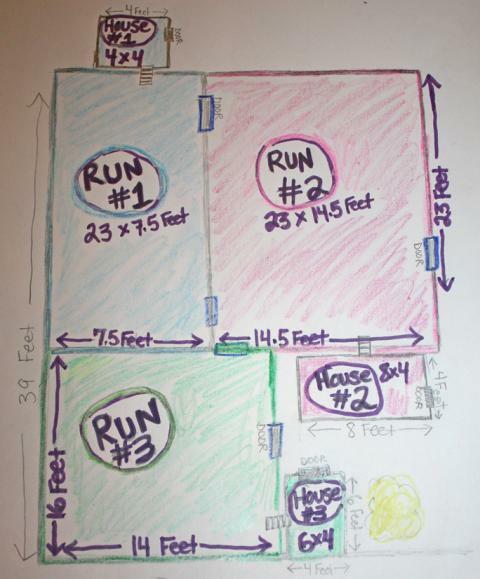 Links: House #1, House #2, House #3, The runs (not that kind I swear! ), our chikkens, the dork that wrote this page. 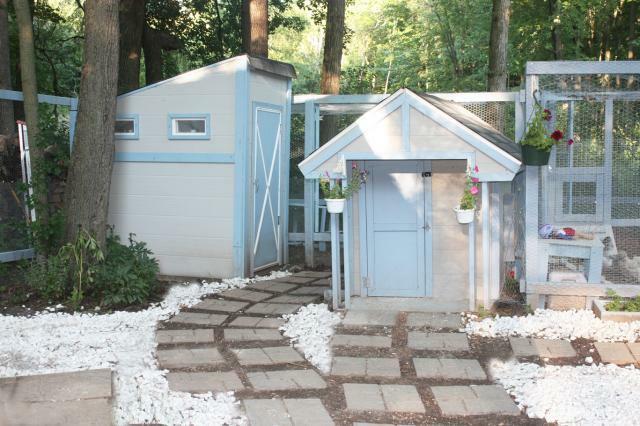 The best little Hen Houses in Texas.....errrr Wisconsin. 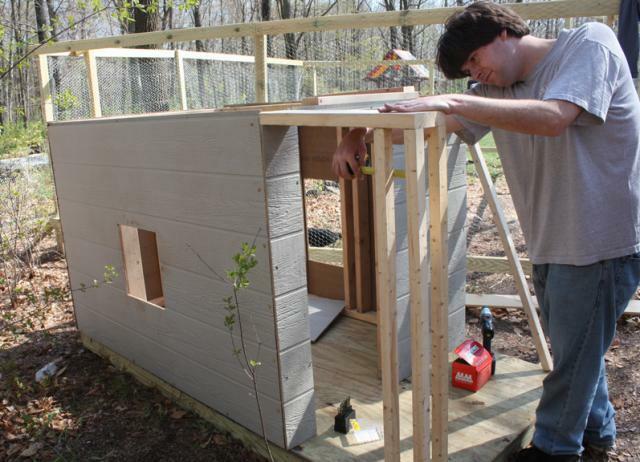 The Hen House #1 (below) was framed with 2x4's and we later added on siding and trim. 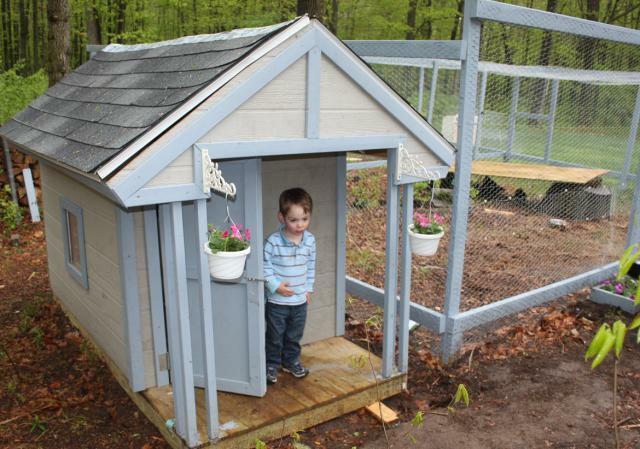 We handmade all the details from scrap wood; chicken ramps, flower boxes, entrances, windows and trim. My brother also came up with a hinge concept for the roof that allows it to open on one side for easy cleaning. 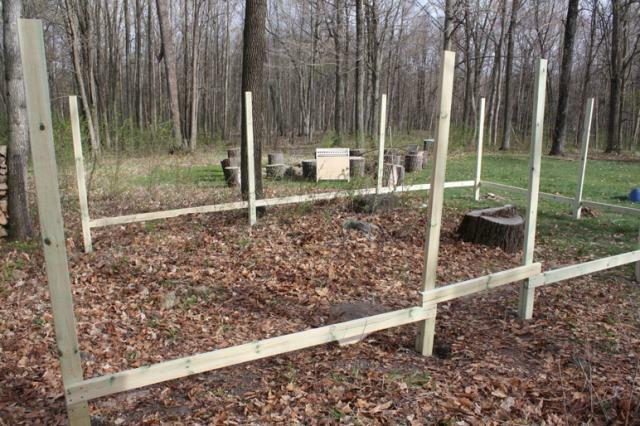 We used 2x4x8's concreted in the ground, hardwire cloth and chicken wire for the run that was buried six inches in the ground to prevent tunneling, stalking and keg parties thrown by visiting predators. We applied hardwire cloth to the bottom of the run after an owl attack that killed a few of our crew (chickens, not people). 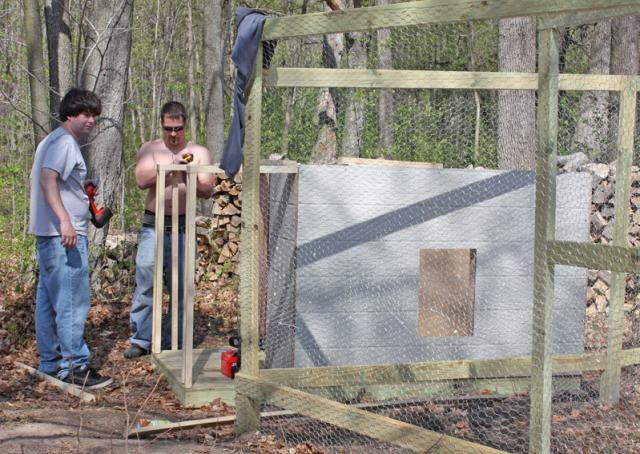 The top of the run is also covered in chicken wire because we have many hawks & owls in the area. We than painted the run to match the cottages. There are three cottages; The hen house & The cockhouse (the twelve year old inside me just had to type that) & the mistress house (to be used for unknown purposes). We handmade the inside nest boxes so that they could easily be seperated and taken out for cleaning. The floor is an quick wash vinyl. 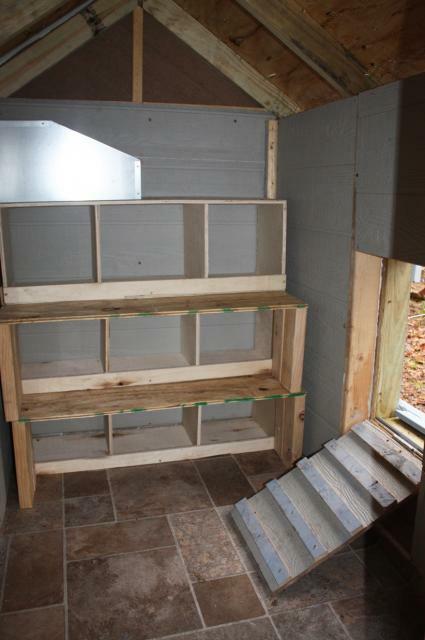 We also installed insulation in the coop for maximum warmth in Wisconsin winters. My son probably enjoys the house just as much as the silkies! 1. 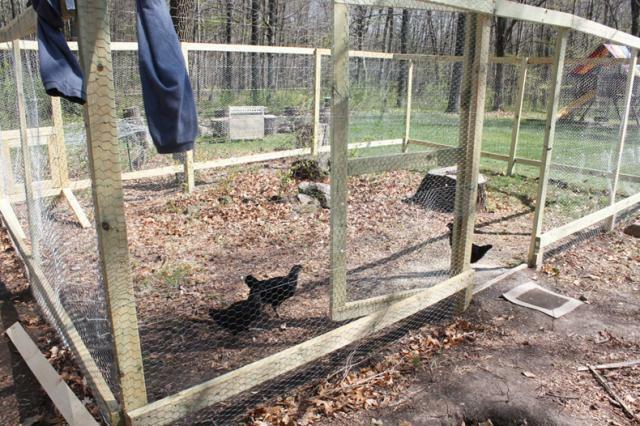 I would have put the hardwire cloth on the bottom of the run immediately had I known an owl could poke its beak through and kill chickens so easily! 2. 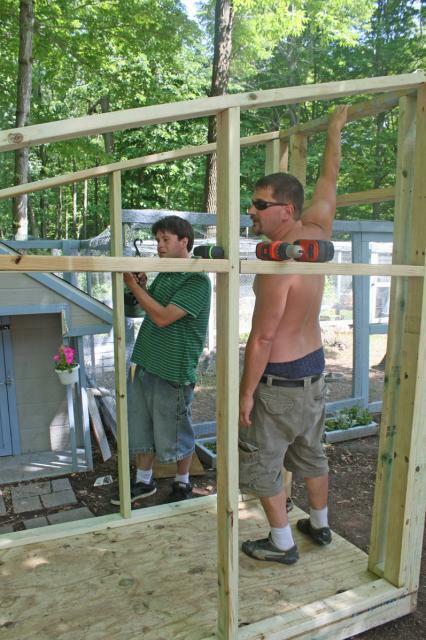 I would buy stock in Jose Cuervo- building a coop is exhausting and much Tequila is needed! 3. I would have made the runs a little longer than 22-23 feet since we have the room. 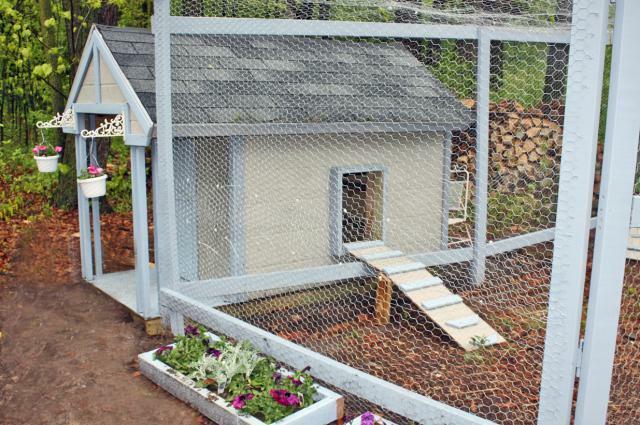 I also would have made the Hen House a bit bigger (I guess many people say that). 4. 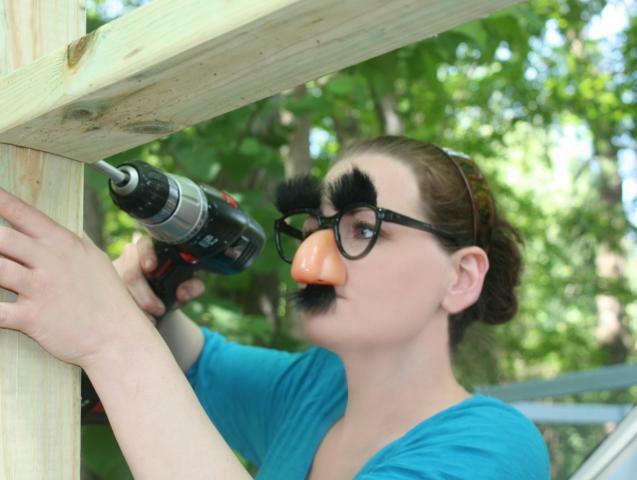 We would have painted the 2x4x8's on the first run before building it. I actually originally wasn't going to paint them and of course changed my mind after most of the run and wire was up. 5.) I probably would have watched fewer Pauly Shore movies during my teen years. However, this is unrelated to the coop project. Some of the free, recycled or less expensive items I picked up: 2x4x8's and 2x4x10's (Craigslist), Fence Door Latches (Free from a Neighbor), 2x1's and assorted scrap trim pieces (free), An old playhouse we used for the Rooster House ($150 on Craigslist), 4 Plywood Boards with minor imperfections ($2 each Craigslist), 6 white shelf boards ($16 for all on Craigslist, used for the brooder), Hay (free from a friend). Fully explained and planned. Loads of details. Great job. Love all of the pictures and details! 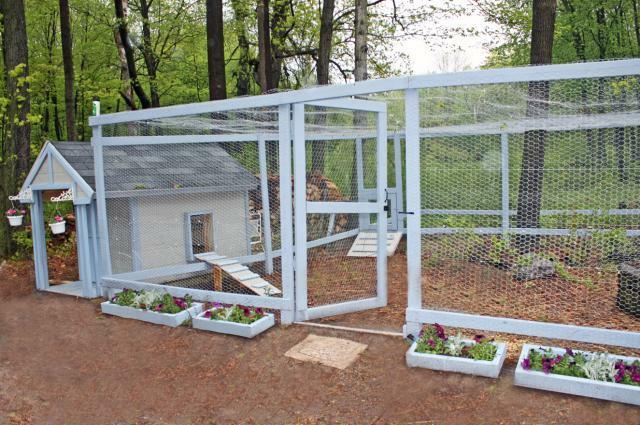 I am looking for a small house for and pen for my "Mother Hens" and make it safe and easy for chicks to get in and get out. this is perfect! Wow!!! Its fantastic! Love the whole design and I am going to try and copy it!! I love the setup its gorgeous!